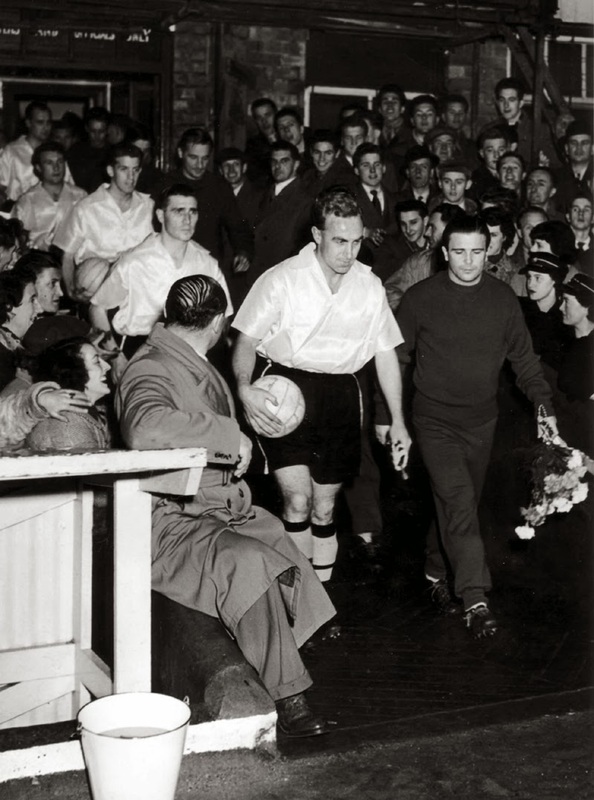 On December 13, 1954, at a packed Molineux Stadium, the mighty Hungarian Champions, Honved, played a match against English Champions Wolverhampton Wanderers that many argue provided the final push towards the creation of a European Cup of Champions. As the finalists Real Madrid and Atletico Madrid go through the final preparations for their 2014 Champions League Final clash on Saturday, this week in Throwback Thursday's we take a look back at the birth of the European Cup and a pivotal friendly that proceeded it. The European Cup, the predecessor of the Champions League, was first contested in the 1955/1956 season and was won, incredibly, for the first five years by Real Madrid. Prior to the birth of this knockout tournament of champions, there had been no way to decisively determine the best side in Europe. As early as 1897 though, a Challenge Cup had been contested by the top club sides from within the Austro-Hungarian Empire. Following World War 1, and the resulting political shifts across Europe, a new cup competition was created called the Mitropa Cup that included clubs from Central and Eastern Europe. The main countries, whose clubs featured in this tournament, were Austria, Czechoslovakia, Yugoslavia, Hungary, Romania and Italy. The Mitropa Cup was first contested in 1927 and did much to develop the level of play in the countries involved. In Western Europe however, clubs had to be content with high profile friendlies in order to test themselves against sides from other countries. Although a Latin Cup between clubs from Spain, Portugal, France, and Italy had started after World War 2, a need for a Europe wide tournament was still there. The European Cup just needed a final push to get it off the ground. In the early 1950's the strongest National side in Europe, and perhaps the world, was Ferenc Puskas' Hungary. 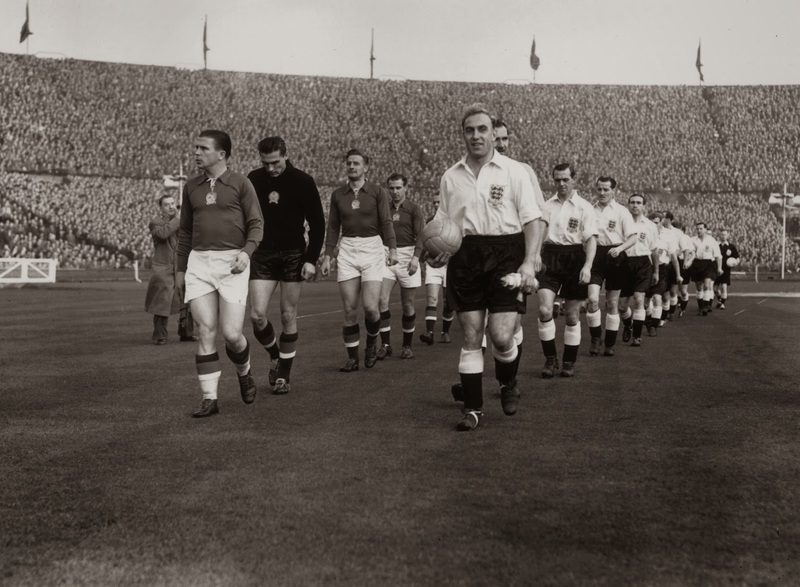 The Magical Magyars, won Olympic Gold in 1952 and then went on to smash England 6-3 at Wembley, becoming the first side from outside the British Isles to triumph on the Empire Stadium's hallowed turf. Deploying a deep lying centre-forward in Nándor Hidegkuti, and playing with a fluid formation that would heavily influence the Dutch "Total Football" of the 1970's, Hungary made the England defense look "like a fire brigade rushing to put out the wrong fire." Hungary went into the 1954 World Cup as firm favourites, and only an injury to Puskas and a questionable offside call kept them from glory, as they fell 3-2 to West Germany in the Final. In December of 1954, the Hungarian club side Honved, which contained the future Real Madrid star Puskas, along with future Barcelona ace Sándor Kocsis and most of the Hungarian National side, came to Wolverhampton to play in a high profile flood-light friendly against Wolves. The English Champions, managed by Stan Cullis, were known for their direct wing play and were thought to be no match for the sophisticated Hungarians. Although, Wolves enjoyed a golden period in the 1950's matching Manchester United with three league titles, and playing several other high profile matches against top European sides, many like my Grandmother who were privileged to be there that night, have said that there's never been a match like it at the Molineux. The ground was bursting beyond capacity, with many only seeing the ball when it went up the air, but the atmosphere was electric as the West Midlands crowd strained to see what their side could do against mighty Honved. The match was also carried live on the BBC, which was extremely rare in those days. Predictably, Honved took a two goal lead in the first half with goals from Sándor Kocsis and Ferenc Macho. But after what was no doubt a stirring halftime team talk by the volatile Cullis, Wolves got back into it with a goal from Johnny Hancocks early in the second half. 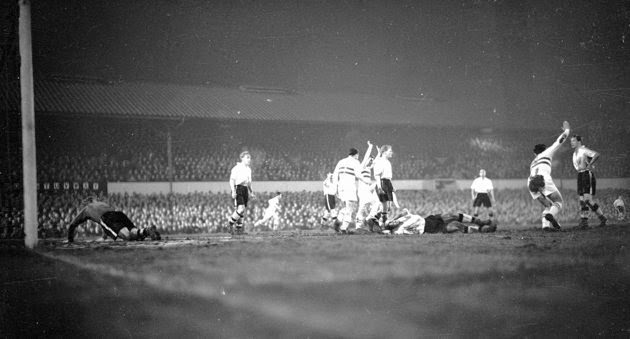 With fifteen minutes to go, Roy Swinbourne headed an equalizer and then within 100 seconds he had scored the winner, sending the 55,000 strong crowd into raptures on what is arguably the most famous night in the clubs history. 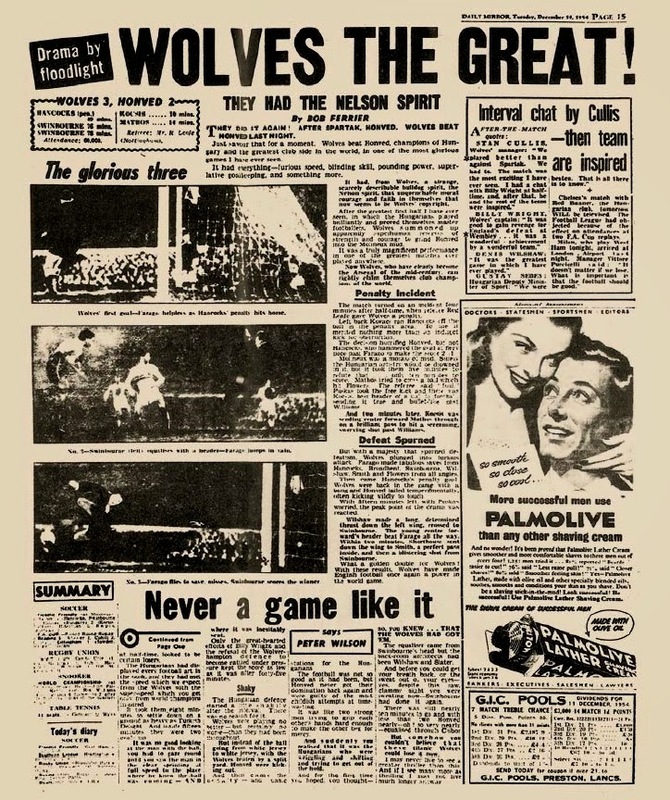 After the match, the British press raved about Wolves brave comeback and said that they drew on the "Spirit of Lord Nelson" in order to overcome the Hungarians. Some papers went as far as to call Wolves the "Champions of the World". "Before we declare that Wolverhampton are invincible, let them go to Moscow and Budapest. And there are other internationally renowned clubs: AC Milan and Real Madrid to name but two. A club world championship, or at least a European one – larger, more meaningful and more prestigious than the Mitropa Cup and more original than a competition for national teams – should be launched. " Impressed by the success of the Campeonato Sudamericano de Campeones (South American Championship of Champions) in Chile in 1948, Hanot had already put forward a proposal to UEFA for a tournament between European football's Champions. Spurred on by the reaction to Wolves victory, Hanot pressed the issue further until UEFA agreed during their congress in March of 1955 to the formation of a European Cup. The tournament would begin play in the fall of that year, eventually morphing into the Champions League in 1992, and has arguably become the greatest prize in club football. This Saturday, as Real Madrid seek their tenth "Cup With the Big Ears", supporters of Wolves and Honved can be proud of the part their clubs played in prompting a determined French editor to get this great tournament off the ground all those years ago.